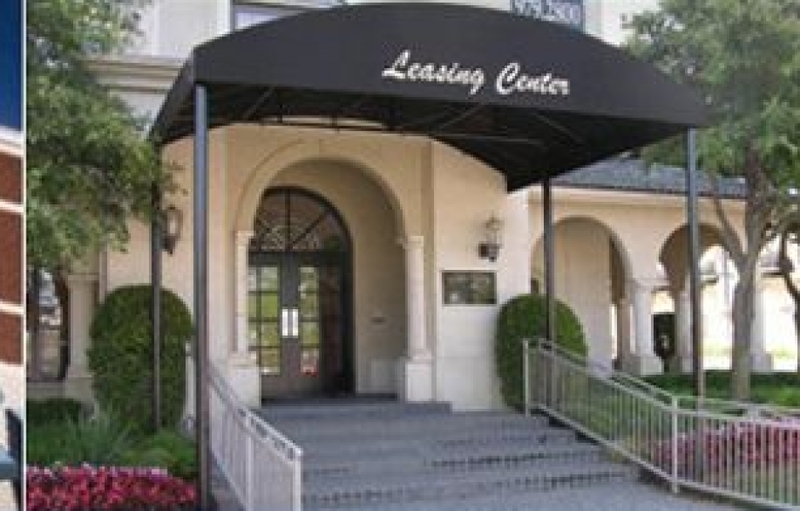 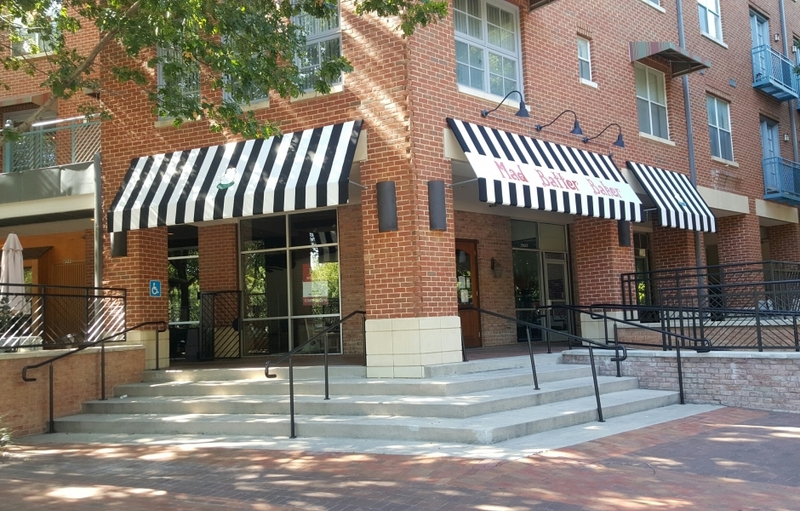 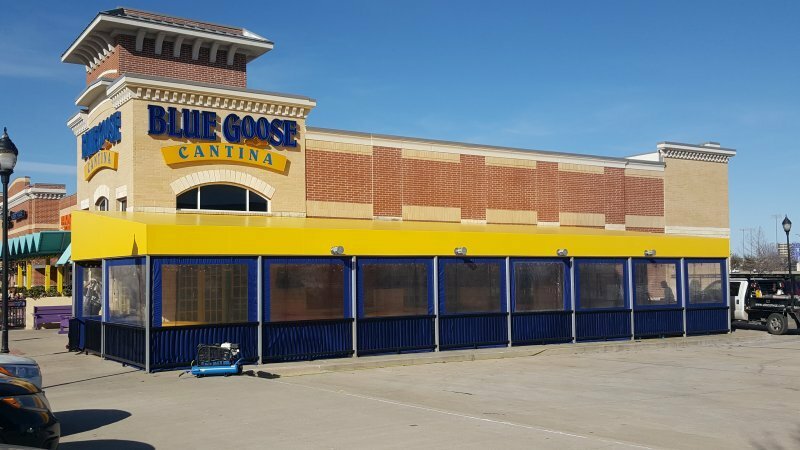 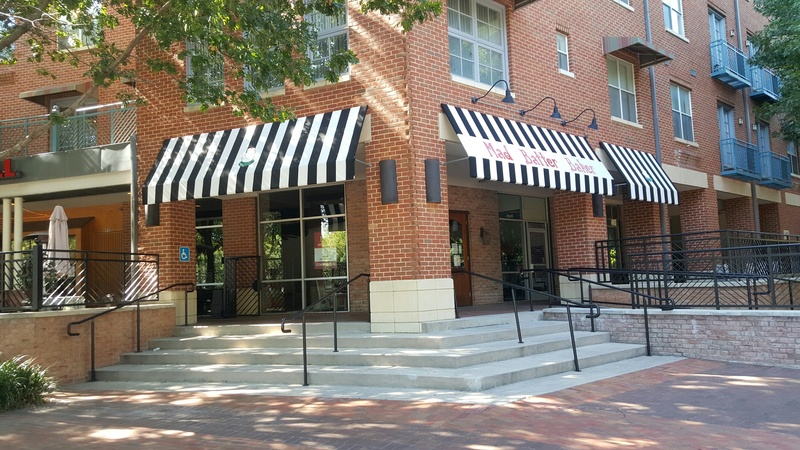 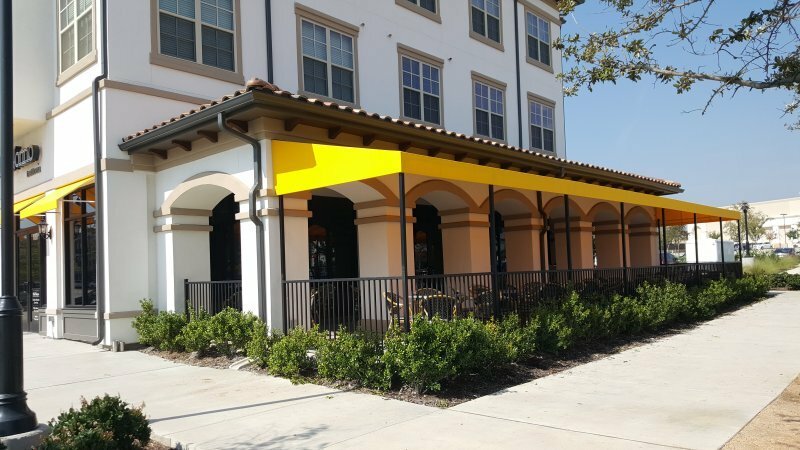 Fabric awnings offer several benefits for a commercial property. 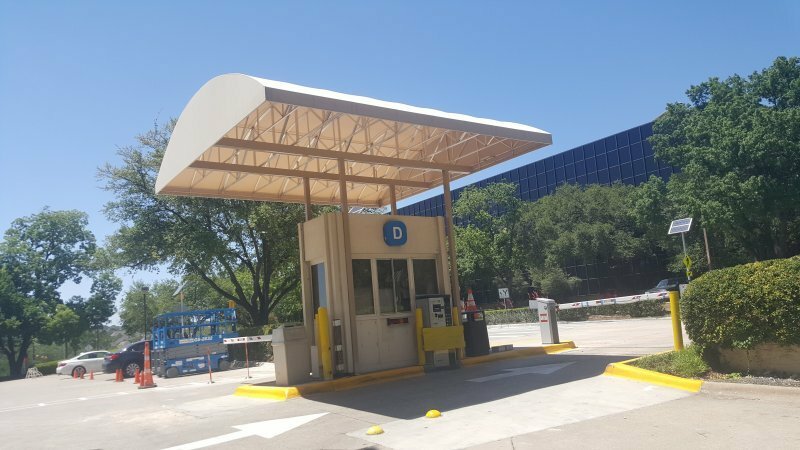 Fabric awnings or canopies will provide shade, lower temperatures and reduced utility usage. 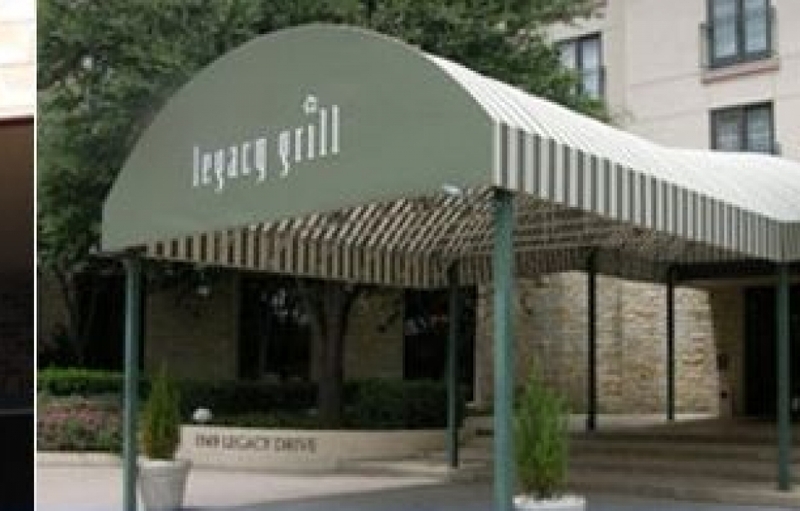 Fabric awnings provide protection from the elements by covering doorways and patios. 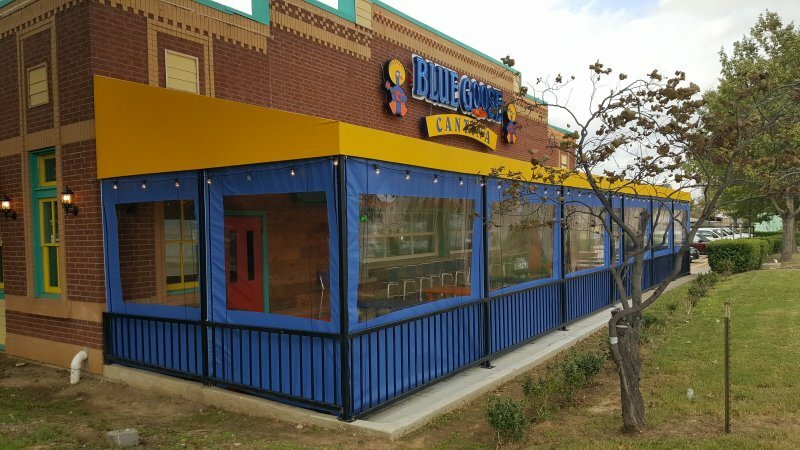 Patio covers increase space and capacity allowing restaurants seat more customers. 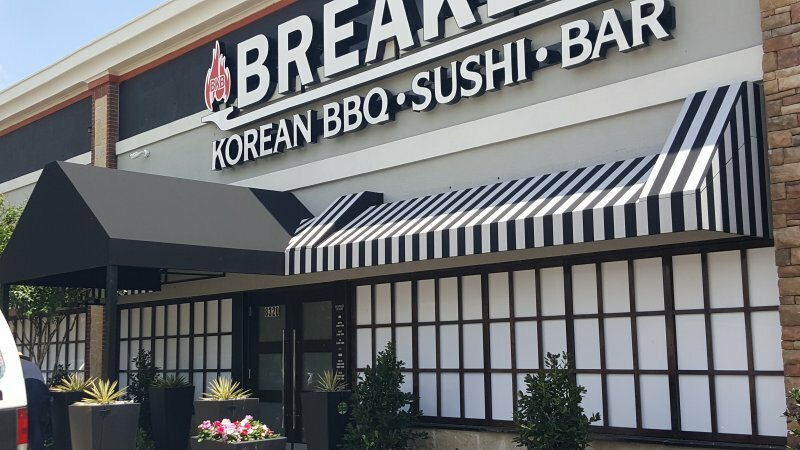 The ability to add graphics and logos to fabric awnings enhances marketing and branding efforts of any business. 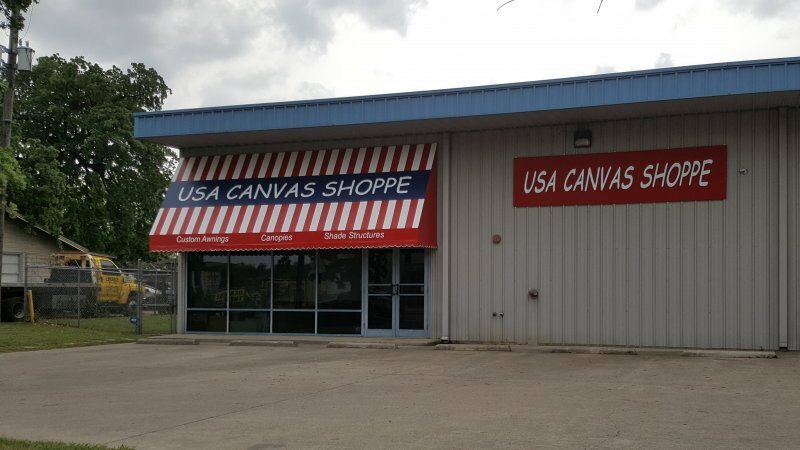 USA Canvas Shoppe has been serving apartment complexes, restaurants, office buildings, hospitals, other small businesses for over 50 years. 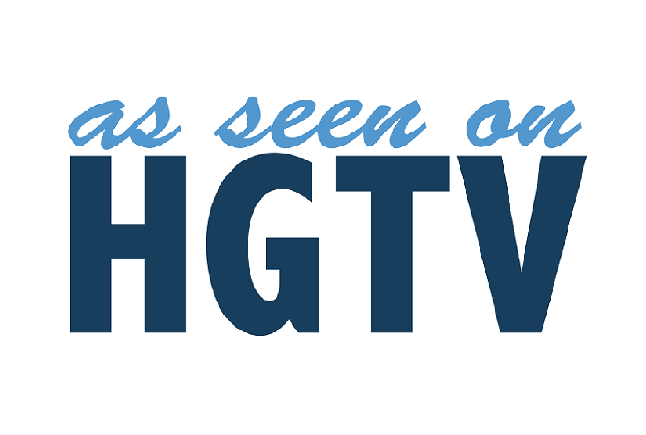 Our in-house designers have a wealth of experience in what works best for a particular application. 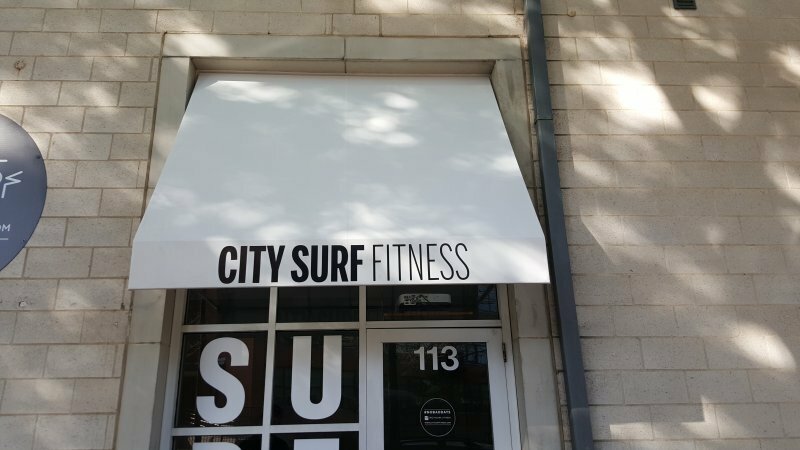 Adding a logo and or any other business information on your awnings will draw attention to your space. 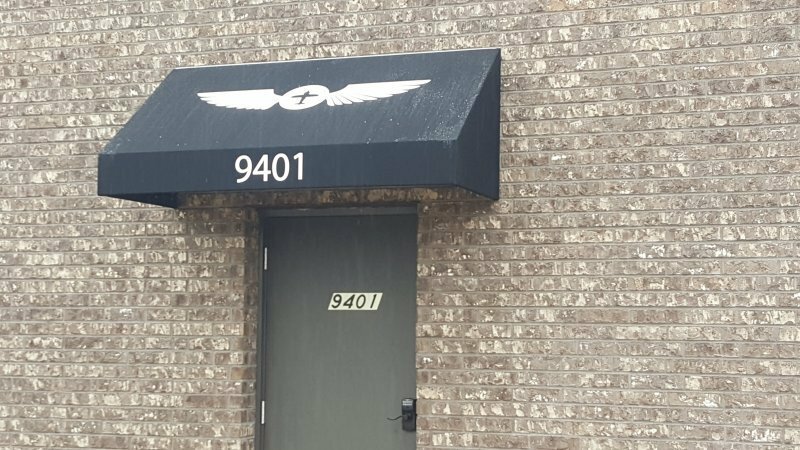 USA Canvas Shoppe has the in-house ability to use your vector files to create logos or graphics that are heat sealed to the awning fabric. 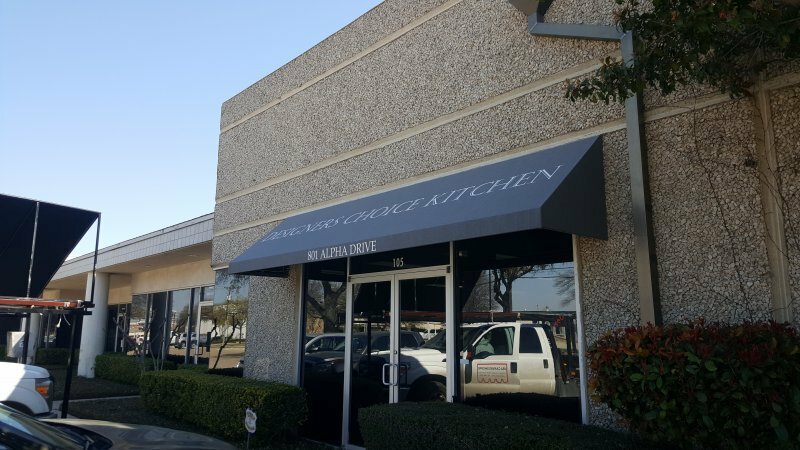 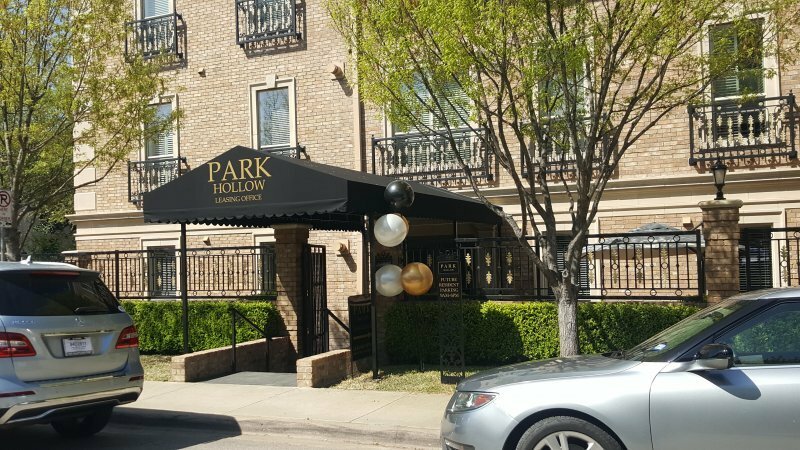 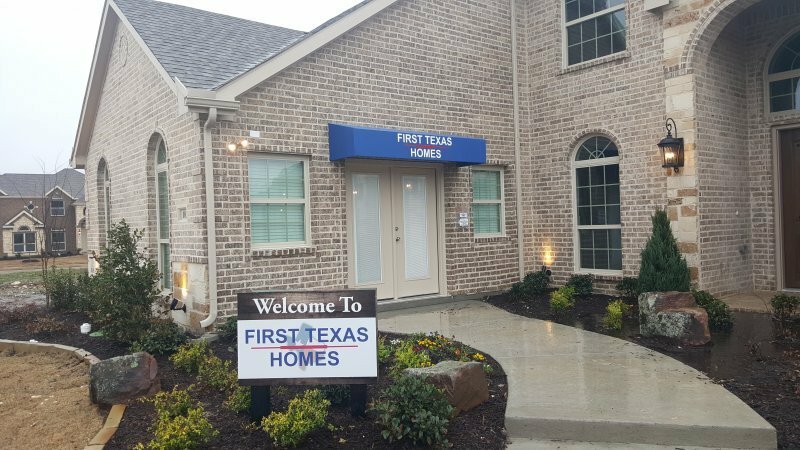 We have a special heat sealing system made by Sunbrella Graphics which professionally adheres vinyl graphics to awning fabric. 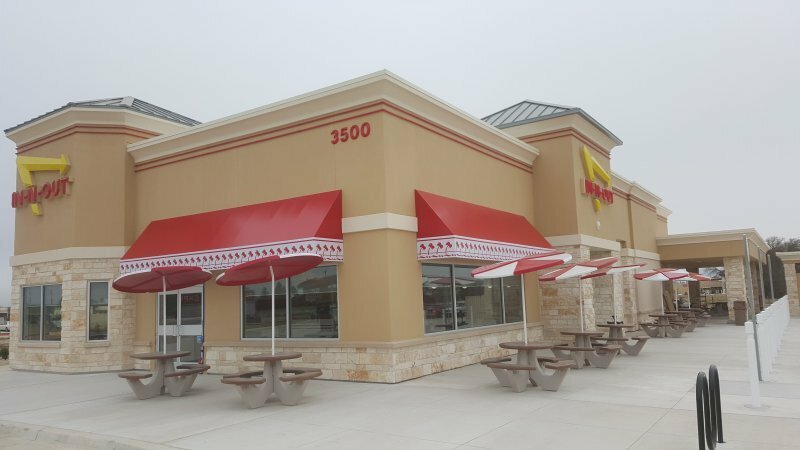 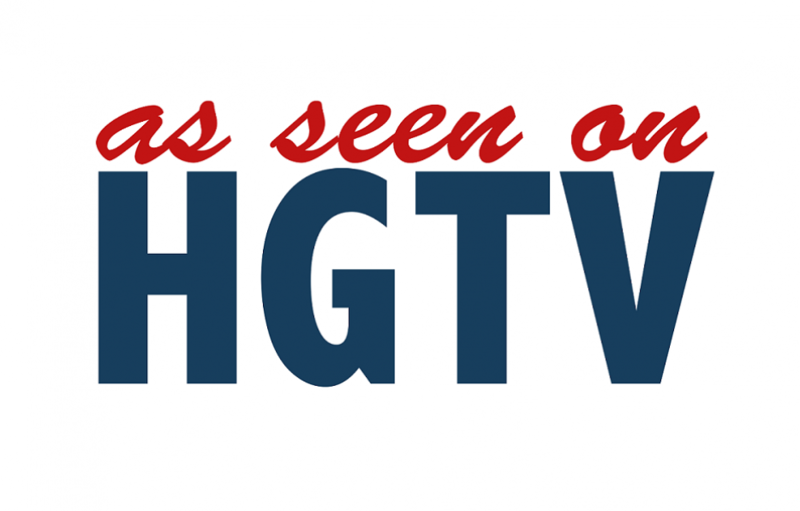 The vinyl comes in a variety of colors which can match your logo or other signage. 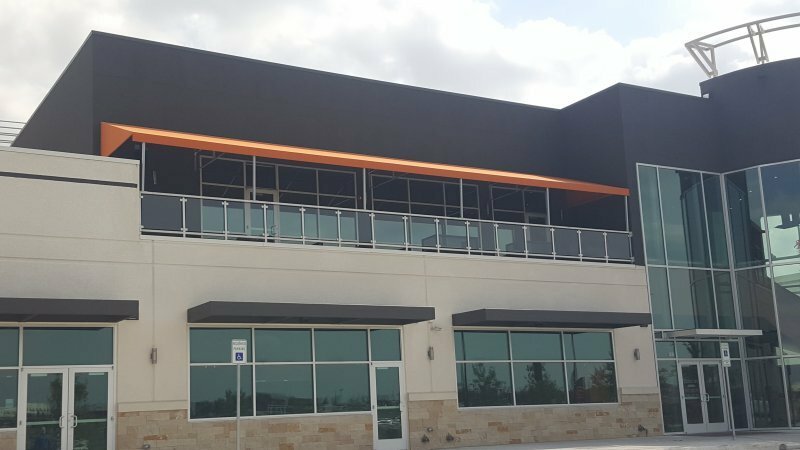 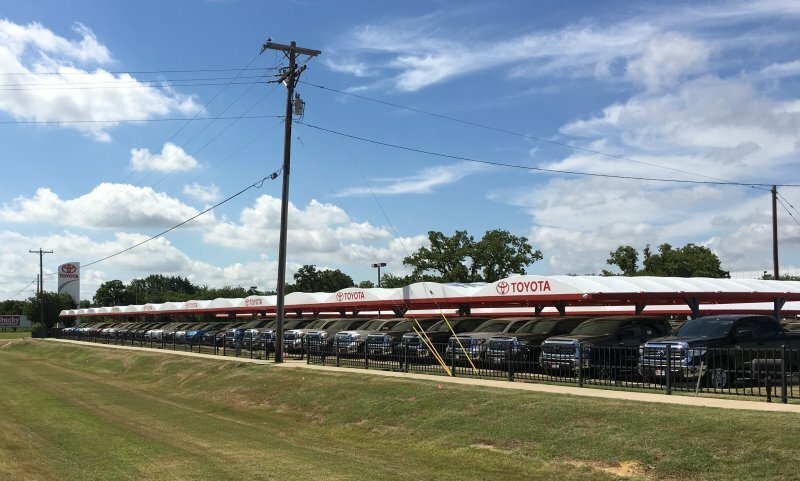 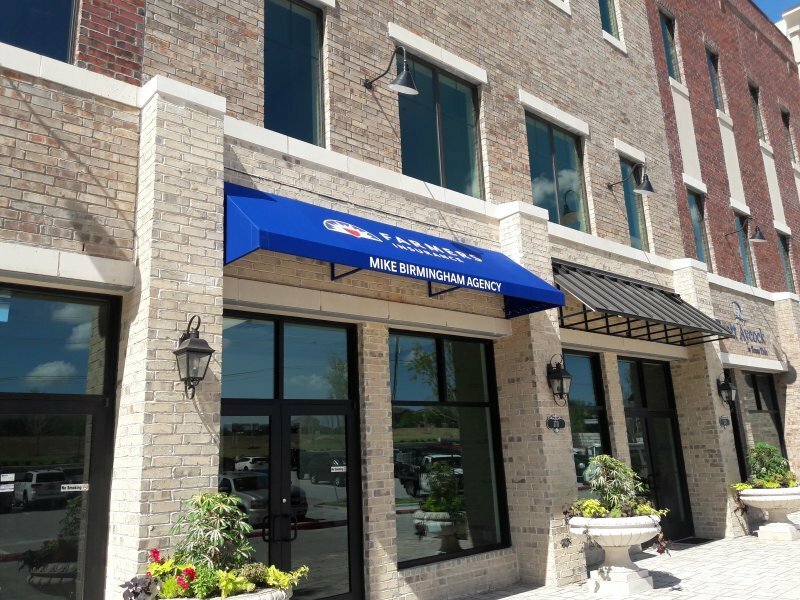 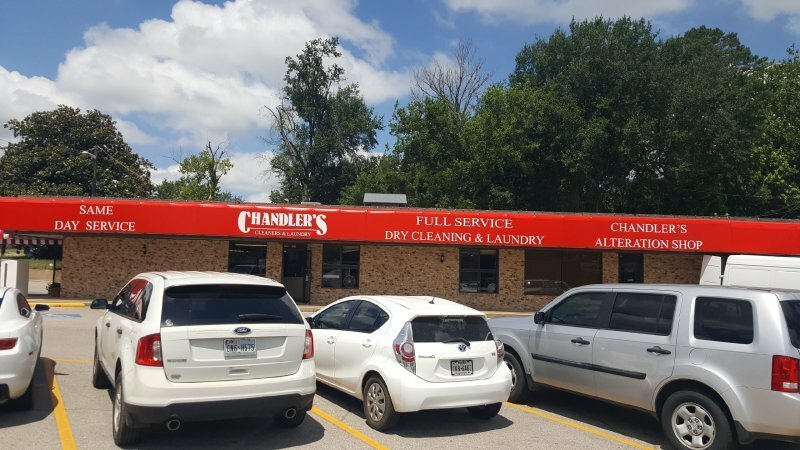 For help finding the right commercial awning or canopy for your business, give USA Canvas Shoppe a call at 972-484-7633 today.